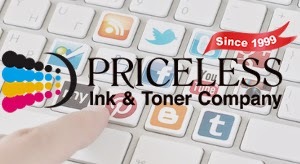 Priceless Ink & Toner is a major printing supplies retailer since 1999. 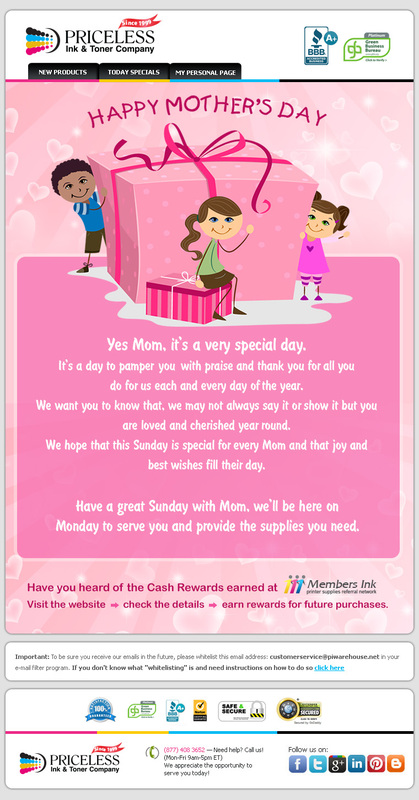 We have served hundreds of thousands customers. We offer OEM as well as compatible and professionally remanufactured, Earth-friendly inkjet cartridges, laser toner supplies, printing ribbons and sold ink for almost all brands and models printers, copiers and fax machines. Priceless Ink & Toner Company is a certified Platinum Member of the Green Business Bureau and A+ BBB Accredited Business since 04/10/2000. Company name: Price-Less Inkjet Cartridge Company, Inc. Follow Us and share with your friends and colleagues. Memorial Day -- Have a Safe and Wonderful Holiday!